And the whistle goes. What a second-half effort from Everton. There will no doubt be further questions about that late penalty shout, but at the end of the day City didn't do enough to win this. Is that a penalty?! No! Raheem Sterling falls under a sliding tackle from John Stones but the referee points for a goal-kick. Late drama! It looked a decent shout, but it isn't given. Everton have another rare effort as Romelu Lukaku heads wide. Three minutes of injury time has been added. No, they can't as Joe Hart punches away. The ball actually went out of play before swinging back in from the corner. What a waste. Back to defending lads. City are coming. This a second-half rarity. An Everton corner, which comes after the referee waved play on following a Yaya Toure foul on Leighton Baines. Surely they can't nick a winner? The City players are falling over themselves in desperation to find a winner. David Silva and Sergio Aguero collide in the box before the latter chips over the goal from a very tight angle. Time ticks on. Nine minutes and counting. 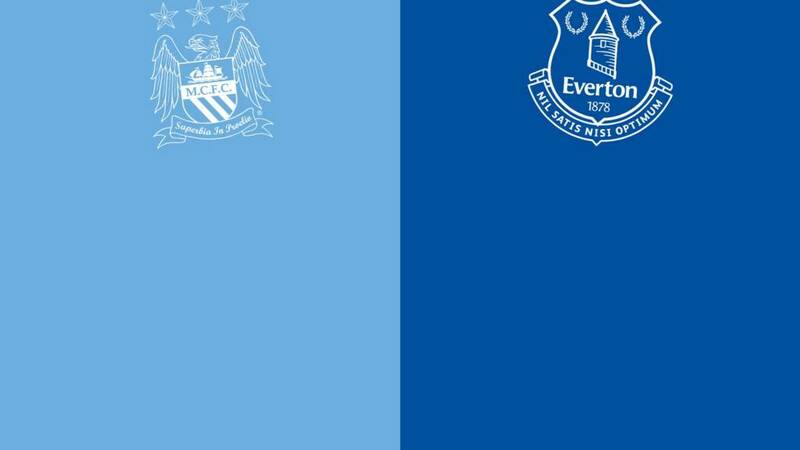 City simply cannot find a way through the dark blue wall in front of them. They have had 10 corners now, the latest of which is swung in by David Silva but headed out by Ross Barkley. Everton have barely been in the City half since the break. Gael Clichy chips over a cross that Jesus Navas meets but heads wide. Another half-chance goes begging as we close in on the final 10 minutes. Everton's defence is doing a sterling job. They are firmly on the back foot but are getting in front of everything to hold City at bay. Kevin de Bruyne fires way over from 25 yards. It is the Belgian's last act. Here comes David Silva. Can he provide the spark? Everton call for the reinforcements. Steven Pienaar is on for the increasingly quiet Gerard Deulofeu and Arouna Kone comes on for Leon Osman. Tim Howard to Everton's rescue again! Sergio Aguero turns his marker and has the chance to shoot in the box but the away keeper makes himself big to block and keep it 0-0. Tim Howard puts his boot to good use again to knock Kevin de Bruyne's low cross out of the area with a number of home players lurking. Everton are doing really well to hold the home side at bay here, but I doubt they can hold out under this pressure for 23 more minutes. It is all City now. Raheem Sterling drives across the box to the right side before shooting low across goal, but Tim Howard is able to stick out a boot to prevent it finding the net. City are enjoying a concerted spell of dominance now. Yaya Toure bulldozes through a couple of challenges in the box before his shot is blocked behind. The resulting corner is met by a hooked shot from Sergio Aguero but Tim Howard is equal to it with an instinctive save to palm the ball away. Everton are digging in. "The Manchester City fans have been trying to rouse their side since the start of the second half and they have responded with their best spell of the game, bringing Tim Howard into action on a couple of occasions - Everton are under serious pressure for the first time tonight." City try to keep the pressure up and win a corner but Everton handle it well before De Bruyne spurns possession with a lose flicked pass straight out of play. However, it is more promising from the home side, who are at least being proactive in the game. Two chances in quick succession for City. A low cross almost finds Raheem Sterling eight yards out but he is stopped from shooting by a sliding John Stones. Soon after, Jesus Navas drives a low cross from the right into the side-netting. City coming on strong. That is not one for the Raheem Sterling scrapbook. He has Everton backtracking as he charges towards the box but his shot, which is intended to curl into the far corner of the net, is so wide it doesn't even go out of play on the right. Stones is back on as City attack with a corner, which falls at the feet of Jesus Navas for a shot he hooks slightly past the far post. Decent opportunity. This could be trouble for Everton. John Stones is down and needs treatment and does not look comfortable as he limps over to the touchline. The Toffees have only just got Phil Jagielka back so they could really do without losing his defensive partner.